An addiction can lead to severe emotional and physical pain if left unaddressed. If you are a friend or a family member of someone suffering from an addiction, you may be struggling with how to help them get sober. Start by researching treatment programs and approaching your loved one about the problem. Interventions are an option if the person refuses treatment. Enabling is a common behavior of family members and friends of addicts that can lead to further substance abuse. It can be difficult to escape this cycle and help your loved one recover. Learn how to set boundaries with the person and remember to take care of yourself. An addiction is a chronic condition characterized by continuing to use drugs or alcohol despite negative consequences. It’s important to be aware of the signs and symptoms of an addiction so you can support your loved one in getting the help he or she needs. Taking more of the substance than originally intended. Failing to quit or cut down on substance use. Spending an inordinate amount of time getting and using the substance, as well as recovering from its effects. Experiencing strong cravings to use the substance. Neglecting home, school, or work responsibilities in favor of substance use. Continuing to abuse the substance regardless of interpersonal or social problems caused by use. Abandoning previously enjoyed hobbies or activities in favor of substance use. Using the substance in dangerous situations, such as while driving a car. Continuing to abuse the substance despite physical and psychological problems caused or worsened by use. Taking more of the substance to feel the desired effects, or feeling less of an effect with the same amount of the substance. Experiencing withdrawal symptoms when use is stopped, or taking the substance to prevent or alleviate withdrawal symptoms. Why Can’t They Just Quit? Keep in mind that your loved one’s addiction is not your fault. You can be supportive and helpful, but ultimately the decision to get treatment is up to the individual. Accepting what you can and cannot control is a big part of surviving a loved one’s addiction. There is a misconception that people addicted to drugs or alcohol have to hit rock bottom before seeking help. If you suspect that your loved one has a problem, don’t wait to talk to him or her about it. The earlier an addiction is treated, the better. If you can, approach your loved one when he or she is already trying to quit using. This means that he or she has acknowledged the problem and wants to get sober. Express your concern in an empathetic and caring manner. Remain calm, regardless of the response you get. Suggest treatment options and express your willingness to attend family therapy with the person, if desired. Avoid approaching the person in public or when he or she is under the influence. Avoid judgment and blame. Those suffering from an addiction often feel shame and guilt associated with substance abuse, and family members should be accepting and open-minded. Avoid being aggressive or confrontational. This behavior could push the person away. As tempting as it may be to continue making excuses for your loved one’s behaviors, CRAFT encourages you to let the person face the consequences of his or her actions. Lying for the person will only cause more harm in the long-run. 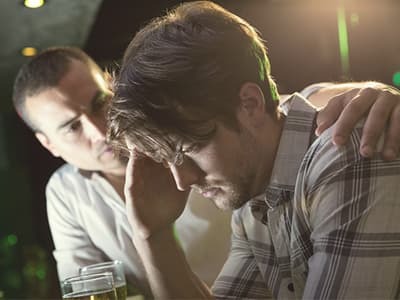 In an intervention, significant people in the user’s life, such as family and friends, gather together to share how the addiction has affected them and try to get the user to accept treatment. 5 Some users are unable to see the negative consequences of their drug use, which is why a structured intervention is valuable. Interventions are face-to-face meetings between someone who is abusing drugs or alcohol and people who are affected by the person’s behavior. An interventionist is someone trained in organizing effective interventions. Become defensive and leave the situation. Feel alienated and isolated from family and friends. Feel stigmatized and shame associated with addiction. Although a professional is not necessary, interventions are more likely to be successful if they are facilitated by a professional. Still, interventions may not work for everyone. Your loved one may refuse addiction treatment right away, but may seek help later on as a result of the intervention. 5 Don’t try to force him or her to get help before he or she is ready. Many people are in denial about having an addiction to drugs or alcohol. This denial may partially be due to enabling, which means that the loved one allows the addiction to continue without consequences. It can be easy to fall into the habit of enabling your friend or family member’s addiction, under the impression that you are helping. But it can actually prolong the problem and cause more harm in the long-run. Repeatedly bailing the person out of jail. Lying to others to cover up negative behaviors. Allowing the person to deal drugs out of your house. Blaming others for the person’s behavior. Enablers often neglect their own needs in favor of the addict’s, which can lead to serious emotional, financial, and interpersonal problems. Decide what you are no longer willing to accept. It can be difficult to escape the cycle of enabling, which is why you need to begin by setting boundaries, which help to protect your emotional and physical health. You must decide what you are no longer willing to accept and make these boundaries clear to your loved one. Boundaries won’t work if you aren’t willing to follow through. Enforcing boundaries can be extremely difficult, but without them, the addiction is likely to continue and keep harming the family. I refuse to bail you out of jail anymore. I will not tolerate you drinking or using drugs in the house. If you do, you will not be allowed to live here anymore. I will not lie about your intoxication or hangovers anymore. I refuse to call in sick to work for you. I refuse to lend you money to support your habit. I will not tolerate your angry outbursts toward me. If you exhibit aggressive behaviors, you will not be allowed to live here anymore. Boundaries don’t need to be limited to the examples above. Behaviors vary. It’s also important that you begin taking care of yourself, both physically and emotionally. Enablers often avoid self-care and suffer emotional consequences as a result. Once you stop making excuses and covering up for your loved one, he or she will be forced to face the consequences of his or her actions. Inpatient: An inpatient or residential program can provide treatment for someone suffering from a relatively severe addiction because it requires that the person live at the facility for the duration of treatment, while participating in a structured and intensive program. 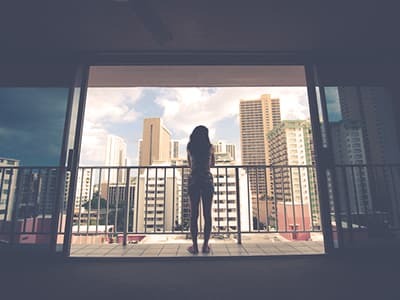 Outpatient: Outpatient treatment settings are good options for individuals with relatively less severe or long-standing addictions who cannot afford to neglect their home, work, or school responsibilities while receiving treatment. Your loved one can reside at home while attending the recovery program about 1-2 times per week. Individual therapy: A therapist will use interventions designed to address underlying issues influencing your loved one’s addiction. A goal of therapy is to rectify negative or maladaptive behaviors while building healthy coping skills. Group counseling: During group counseling sessions, recovering users share stories, successes, and coping strategies with one another. Social support is a powerful factor in addiction recovery. Dual diagnosis: Dual diagnosis refers to the presence of a substance addiction and a co-occurring mental health disorder. If your loved one suffers from a mental health condition, find a treatment center that has experience treating dual diagnoses. 12-step programs: Fellowship programs, such as Alcoholics Anonymous and Narcotics Anonymous, are free to join and provide members with support and encouragement as they work the 12 steps of recovery. Alternative programs: SMART Recovery and Secular Organizations for Sobriety are evidence-based, alternative groups that focus on self-empowerment and self-reliance. One type of treatment is not superior to another. The kind of program that will work best for your loved one largely depends on his or her specific needs. Factors that can affect which type of treatment you choose are how serious the addiction is, whether the person needs treatment for medical or mental health problems, the type of insurance you have, and whether the person needs detox. It can be helpful to learn about the recovery process so you know what to expect when your loved one enters treatment. You may also be asked to take part in family therapy sessions as part of an inpatient or outpatient program. These sessions are meant to identify any unhealthy patterns in the family that may be contributing to addiction and to improve communication. Family therapy can be helpful in undoing enabling behaviors and replacing them with healthy and supportive behaviors. Aftercare plans are meant to decrease the risk of relapse. But if your loved one relapses, it’s OK. Relapse is a common part of the recovery process. Have the person discuss the relapse with his or her therapist or sponsor and decide whether he or she needs to re-enter treatment. Be empathetic and supportive. Recovery takes time, and some people require multiple treatment programs before finding one that works best for them. Once your loved one completes his or her recovery program, it may take some time for both of you to adjust to new dynamics in the family. Patience and encouragement are essential following release from a rehab. Safety should always come first. If you or others in your family are in physical danger, you should leave the situation and find a secure environment. Nar-Anon: for family members of drug addicts. Al-Anon: for family members of an alcoholic. Co-Dependents Anonymous: designed to help loved ones stop enabling and heal damaged relationships. SMART Recovery Family & Friends: a science-based, secular alternative to Nar-Anon and Al-Anon. Support groups put you in contact with other people who have been through similar situations. You can share experiences, offer and receive advice, and realize that you are not alone. In addition to seeking outside support, engage in activities that you enjoy. Enablers spend so long putting the addict’s needs before their own that they must make it a point to engage in previously enjoyed hobbies once again. Surviving a loved one’s addiction can be taxing, which is why stress-management is vital. Throughout your loved one’s recovery process, it can help to remind yourself that his or her addiction is not your fault. The only person you can control is yourself and how you respond to situations.
. American Psychiatric Association. (2013). Diagnostic and statistical manual of mental disorders: DSM-5. Washington, D.C.: American Psychiatric Association.
. National Institute on Drug Abuse. (2012). Understanding Drug Abuse and Addiction.
. HBO. Getting an Addict into Treatment: The CRAFT Approach.
. Robert J. Meyers, Ph.D. (2014). CRAFT.
. National Council on Alcoholism and Drug Dependence. (2016). Intervention – Tips and Guidelines.